There is a room in the New York Stock Exchange containing servers for various companies. It's said that every server, which belong to different trading firms, has exactly the same length of cable. Thanks to computerised trades that happen in a split second, the cables' lengths are kept equal so that there's no advantage over other servers in the time it takes to make a trade. For machines, a millisecond makes a difference. We're in the era of light-speed transactions, which means being smarter about exchanging information between systems, not only for speed but also security and efficiency. 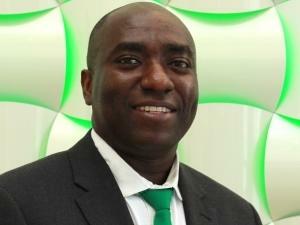 This is the reason why the edge has become such a topical subject, says George Senzere, Solutions Engineering Manager at Schneider Electric. Businesses are getting a huge boost from computerised systems, especially as they evolve into the cloud era. But bringing that same level of technology across different sites has proven to be not so straightforward for many companies, particularly as the sites started generating more data. The main concern is latency, that being the time it takes for data to move between points. As with the NYSE, a little distance goes a long way in the computer world, so it stands to reason that delays in sending data needed to reach decisions will translate into delays for the business. "If you want to understand latency, just look at Netflix," says Senzere. "It's headquartered in the US, but the content you stream locally doesn't come from those servers. It often comes from sites that are much closer, creating better performance. Not every remote action needs to call home to the main data centre, so forcing them to is very ineffective." This applies to information flowing in both directions: modern sites can generate terabytes of data in a shift, amounts that are uneconomical to ferry to applications at the main business data centre. Security is another concern. Moving data between sites exposes it to the outside world. If a site continually sends large volumes of data, it can be tough to monitor for any unusual activities. Yet at the same time, modern digital systems and cloud data centre models have increased the value companies can gain from data. This creates a bottleneck that can't be resolved if everything is kept centralised. To some, it may seem counterintuitive to move away from the centre. Wasn't centralisation the whole point of cloud systems? But cloud isn't about pooling everything in the middle. It's about scale and making it easier to access the services that the business uses every day. The transfer gap problem between sites and data centres predates the cloud era. Yet cloud can exacerbate it. The only way to overcome this transfer gap is to move some of the data centre to where the data is, said Senzere: "The essence of edge is to move some of the storage and compute to a different site closer to where the data is being generated. This can take many forms. It can be to filter the data being sent to the core applications or even putting parts of the application on the remote site for more real-time decision-making capabilities." Until recently, doing so was not practical. But, advances in a data centre's various components, power, cooling, connectivity, racks and the servers they support, are giving companies more options. At the same time, deploying IOT devices that gather data is also cheaper and more dynamic. Today, it's very feasible to create a small digital footprint on a site, shifting some of an application locally to handle new capabilities on the site. "A lot of technologies have matured to make this possible. I like referring to single board computers (SBCs), which can do some complex tasks near operations. The infrastructure needed used to be bespoke. But today that infrastructure is part of the bigger framework we call Ecostruxure and can be deployed and scaled without much fuss. This is making the edge a very powerful force that companies should make part of their strategy." Once the only way to be at the edge was to duplicate expensive data centre infrastructure. But now there is much more choice, from discrete IOT gateways to upgrading that small network closet in a branch office to establishing a small data centre. In the next article, I will explore what the strategic value of edge computing is and how it can make sense for most businesses. To read more about Schneider Electric's edge computing offering, click here.